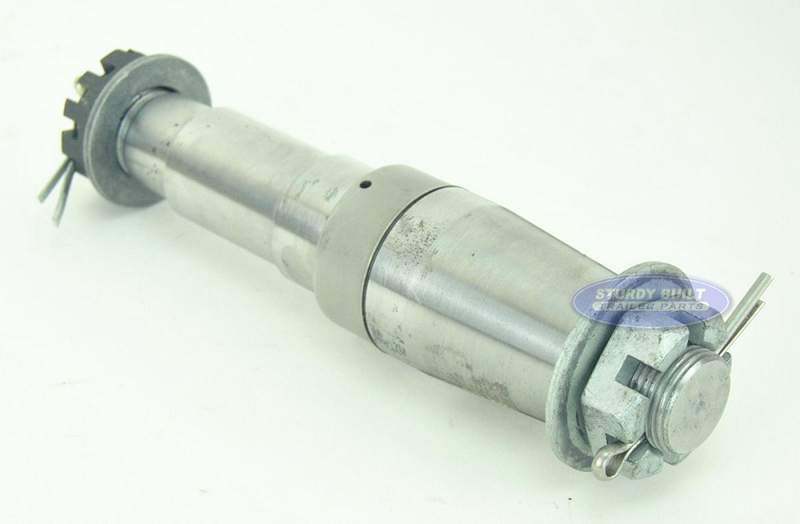 This is a replacement removable Spindle for Tie Down Engineering Brand 3,500lb Torsion Axles. First Off, Torsion axles are axles that do not use Leaf springs, but rather an axle extending down which contains heavy duty rubber that provides suspension for your trailer. The Tie Down Brand torsion axles will have removable spindles, allowing for easy replacement when they become damaged or corroded. You will notice the presence of a Castle Nut on the rear of the spindle with a cotter pin. To remove your existing spindle, first loosen your trailers lug nuts, support the weight of the trailer, remove your tire and wheel assembly. Knock off your trailers Dust Cap, then remove your outer castle nut. This will allow you to slide off your trailers hub. On the Back of your Removable Spindle you will need to remove the Cotter Pin and take the Castle Nut off. Due to rust, this may require a larger wrench and pry bar. To re-install your replacement, simply do the opposite. This 3,500lb Spindle is most commonly seen on trailers with 175/80 13 tires, 205/75 14 tires, and 205/75 15 tires on single and tandem axle trailers. Your wheel will typically have a 5 Lug Bolt Pattern. The Spindle uses a 1 3/8" Inner Bearing and a 1 1/16" Outer Bearing with the Standard UHI 1.72" ID Grease Seal. 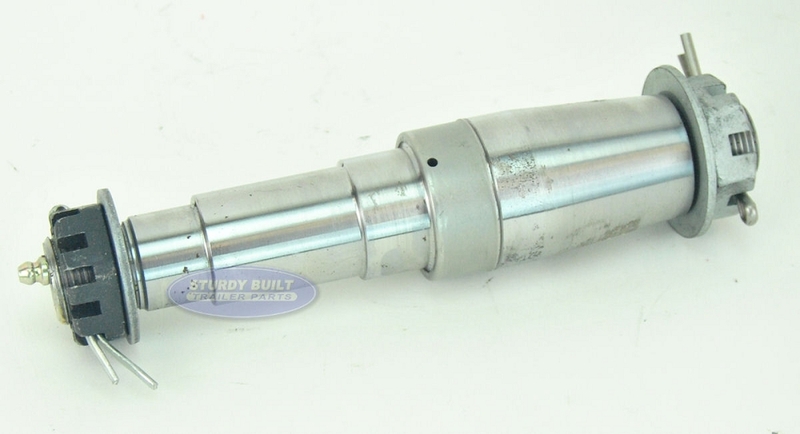 These are Accu-Lube Spindles, meaning you grease through the outer Zirc Fitting, which forces grease out the Grease Port (shown in the pictures). The new grease forces the old grease out the front of your Accu-Lube Dust Cap. I am based in Australia and found dealing with Sturdy Built was very professional. The products were exactly as advertised. It would be good if spare wear sleeves were also carried for the stub axles. After firstly dealing with Loadrite trailers who's customer service warranty manager was pathetic, I will never buy another Loadrite trailer because of this person. I would be happy to purchase anything I require in the future through Sturdy Built.